Following his sold-out immersound_LAX show, acclaimed Canadian ambient musician Tim Hecker has added a second Los Angeles performance. This event will also feature a performance by Los Angeles based musician M. Geddes Gengras, and is presented by shibui_oto, Human Resources and VOLUME. Tim Hecker is a Canadian-based musician and sound artist, born in Vancouver. Since 1996, he has produced a range of audio works for Kranky, Alien8, Mille Plateaux, Room40, Force Inc, Staalplaat, and Fat Cat. His works have been described as “structured ambient”, “tectonic color plates” and “cathedral electronic music”. 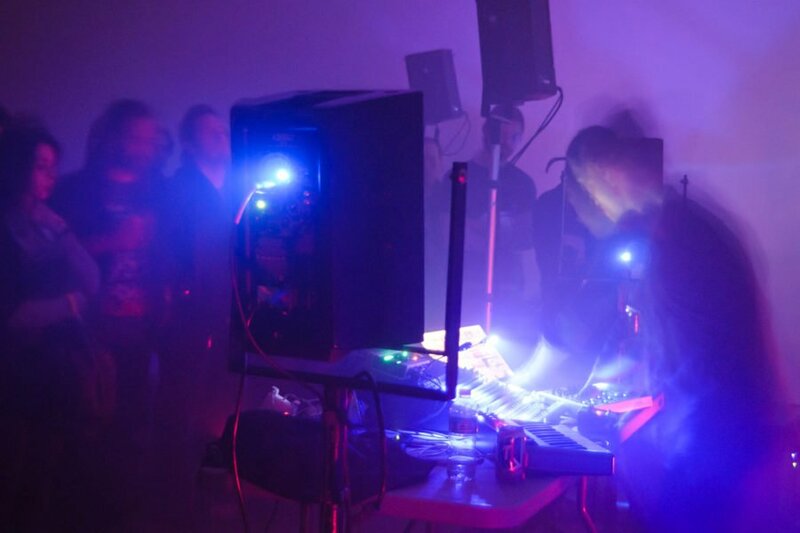 More to the point, he has focused on exploring the intersection of noise, dissonance and melody, fostering an approach to songcraft, which is both physical and emotive. The New York Times has described his work as “foreboding, abstract pieces in which static and sub-bass rumbles open up around slow moving notes and chords, like fissures in the earth waiting to swallow them whole”. His Harmony in Ultraviolet received critical acclaim, including being recognized by Pitchfork as a top recording of 2006. Radio Amor was also recognized as a key recording of 2003 by Wire magazine. His work has also included commissions for contemporary dance, sound-art installations, as well as various writings. He currently resides in Montreal. M Geddes Gengras has spent the last 7 years in the Los Angeles experimental music scene. Most recently, he was recognized for his collaboration with SUN ARAW and roots-reggae legends THE CONGOS (2012’s Icon Give Thank) which received praise from such far-flung publications as The New York Times, Pitchfork, The Wire (#2 album of 2012), and Artforum. He has logged time as a member/producer of many bands such as SUN ARAW, POCAHAUNTED, L.A. VAMPIRES, ROBEDOOR, and AKRON/FAMILY. 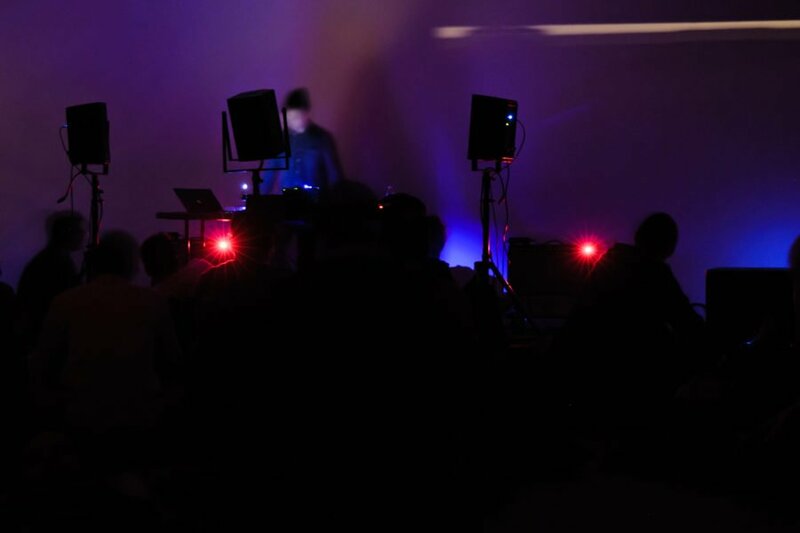 His solo work is based in modular synthesis and comfortably straddles a variety of forms, (kosmische, drone, experimental, musique concrète, and techno, to name a few) while remaining rooted in a deep affinity for the limitations of analog synthesis and a keen ear for timbral manipulation. Recently Gengras released his first solo lp, Test Leads, on Intercoastal Artists/Holy Mountain, a 12” ep under his PERSONABLE guise for the L.A.-based label Peak Oil, an LP collection of out-of-print tape works (COLLECTED WORKS Vol. 1 – on UMOR REX) and toured the US, Canada, and Europe with LAUREL HALO, ITAL, SUN ARAW, MATTHEWDAVID and AKRON/FAMILY, shared stages with MV&EE, JULIA HOLTER, STELLAR OM SOURCE, PURE X, JAMES FERRARO and many others, as well as performing at the Los Angeles Natural History Museum and Museum of Contemporary Art.